Hyperwear ® Battle SandRope - neoprene covering makes it tough like traditional battle ropes, but it will not shed any fibers. 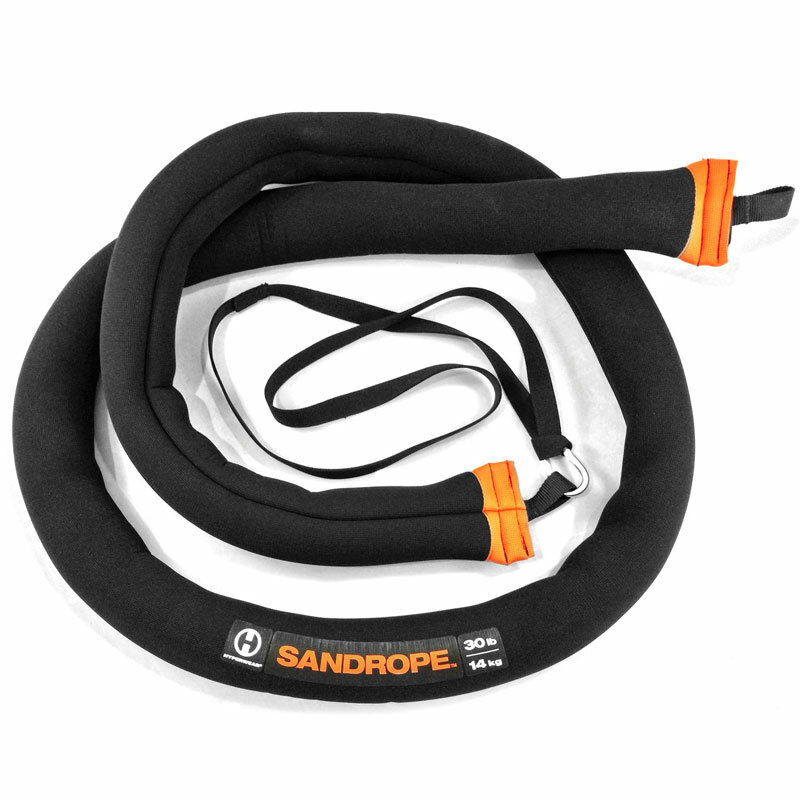 The biggest advantage of the SandRope versus any other combat rope on the market is the limited space the product takes up in your gym and the variety of fitness rope exercises you can do without any need to anchor the rope. The weight of the sand keeps the SandRope from moving around too much, so small group training with battle ropes is now possible safely in much less space. Prefer anchoring your SandRope? We include an anchoring kit and a collar with each SandRope. 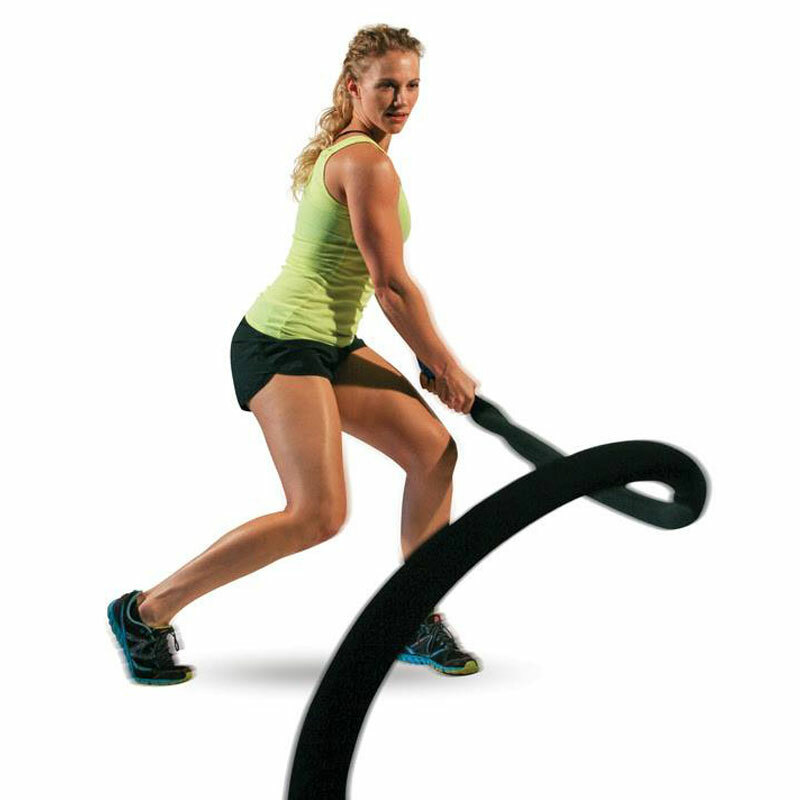 The SandRope engages the whole body, therefore giving you a whole body core and cardio workout with more results in less time. The versatility of the product allows users to target certain muscle groups; use it anchored, unanchored, with one hand or both hands. Use it alone or in pairs. 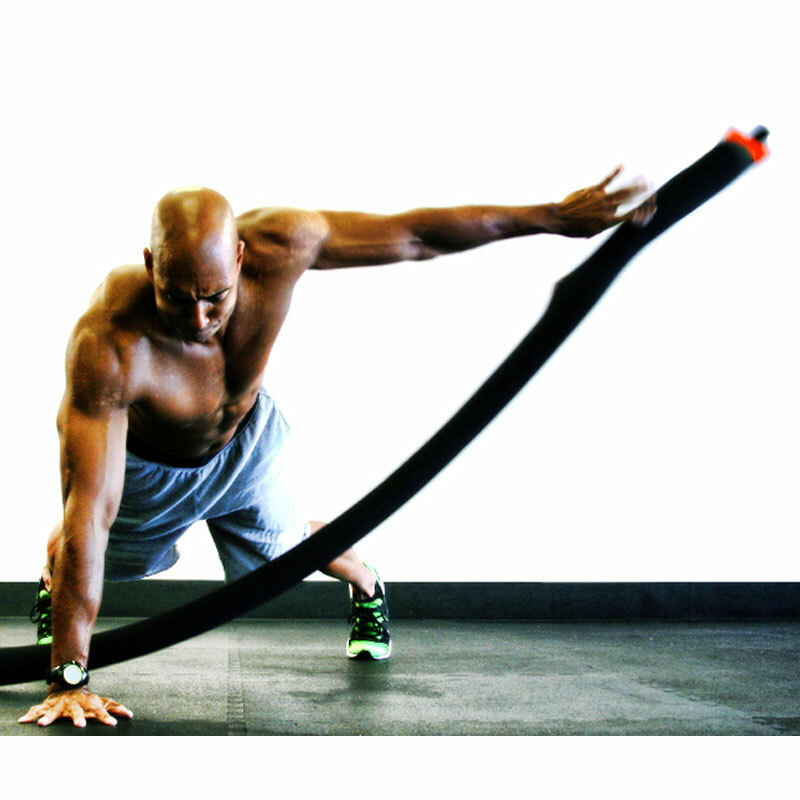 Build up your stamina with the SandRope and conquer your fitness, weight loss and performance goals. 2 1/2 inches diameter, but it squeezes and compresses with gripping. Do not attempt to use your SandRope to climb, pull weights, pull on it when anchored, or use it near anything that can puncture or cut the neoprene.